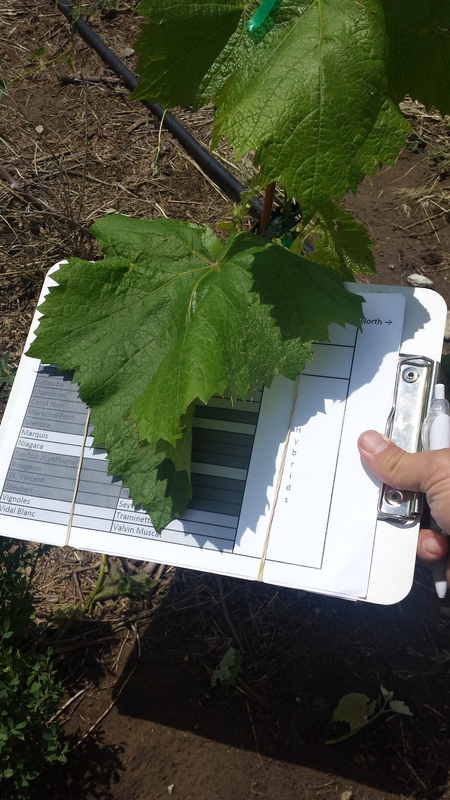 Not a lot has changed since walking through the Research Vineyard last week. 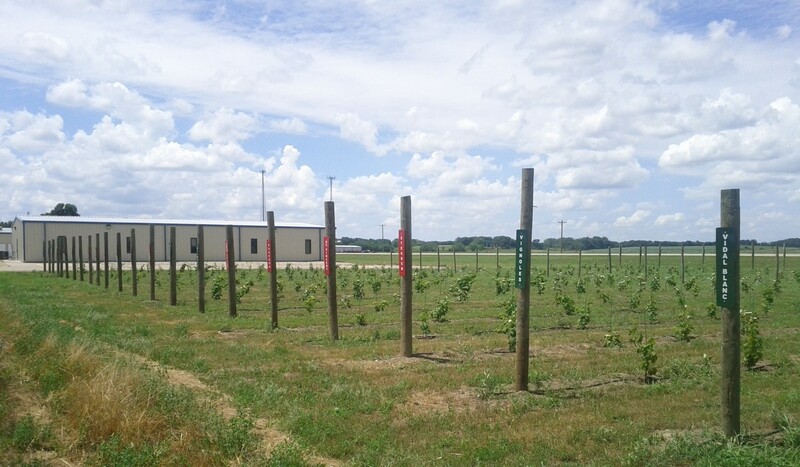 We spent quite a bit of time training the vineyard as it is all second-year vines. Most everything is up to the wire now. A couple of standout exceptions that seem to pretty low in vigor (excluding the dead vines!) are Cayuga White and Regent. The numbers of vines that survived (and didn’t) hasn’t changed in a couple of weeks, so I’ll refrain from reporting all of those numbers again this week. 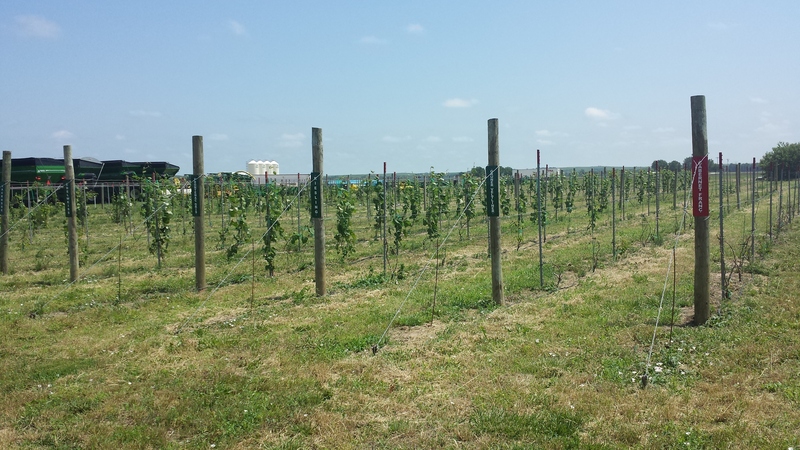 Since these vines are only second year, we’re not allowing any of them to produce fruit. So there is no report about disease, cluster/berry sizes, etc. We’re dropping 100% of the fruit on the ground. One thing that is noteworthy is that we’ve received excessive amounts of rain the past couple of weeks. Over six inches! That’s a lot of rain, even if we weren’t feeling effects of years-long drought. With the late freeze (May 16) and the damp, rainy summer so far it will be interesting to see how the fruit-bearing vines in our Oregon Trail Vineyard will fare. We’ve certainly been on top of our spray schedule with all the moisture. At last glance, it appears that our Chambourcin vines have generally the usual fruit load, but Traminette may be a little light. Time will tell. 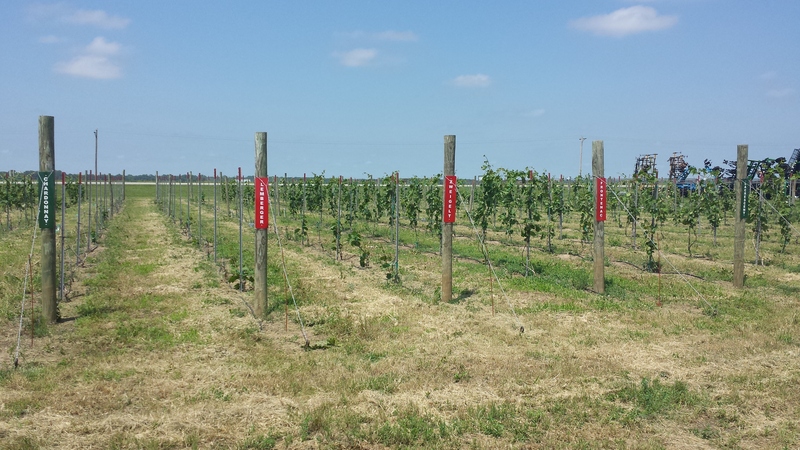 Here is a shot of the same rows from the other direction, from right to left: Cabernet Franc (0/12), Gruner Veltliner (1/12), Riesling (3/12), Edelweiss (12/12), Frontenac Gris (12/12), Lacrosse (12/12, endpost not in photo).